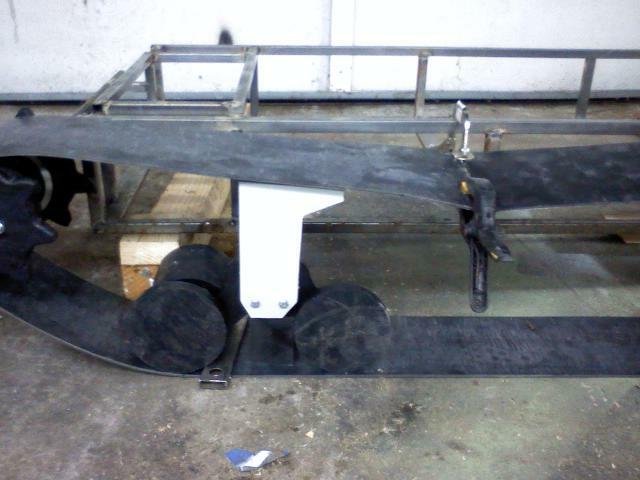 Still just working on bogey parts, and adding supports on the bottom of the frame before I skin it with sheet metal. 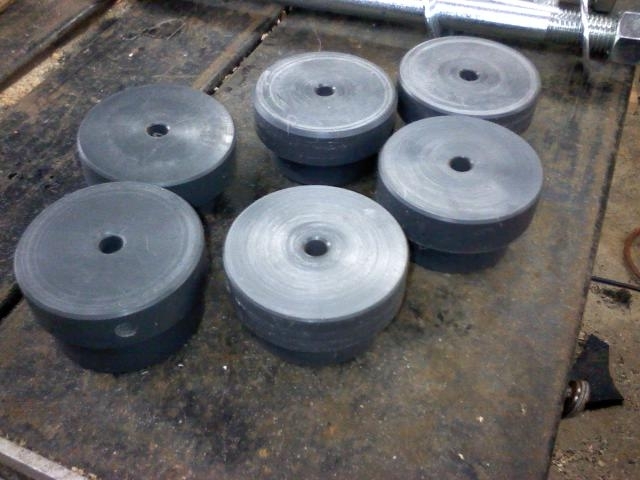 The big spacer blocks are among the more tedious of items. 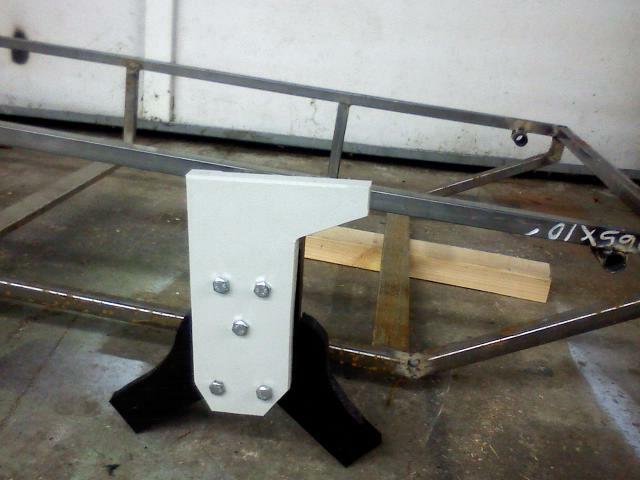 They are what centers the bogey arms inside the track, by extending the bogey assembly about 3″ away from the hull. Two more of these on the bottom, and then I will go through and add gussets in places I think need a little extra strength. Then, it will finally be ready to be sheeted. Sorry for the recent hiatus… been pretty busy. 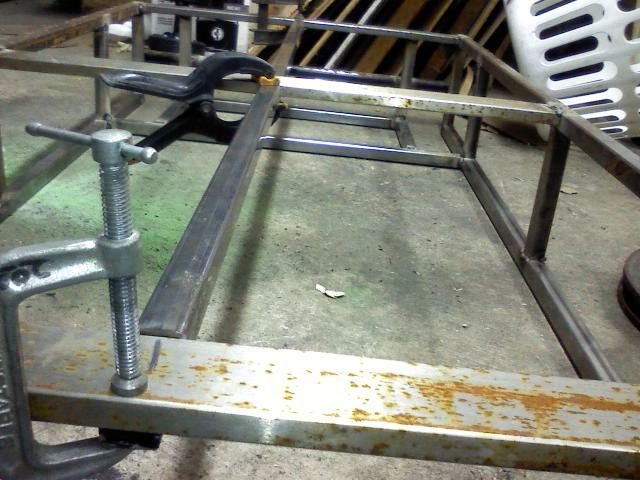 Some of which, was doing some work on my ATV trailer which will some day haul the tank around. 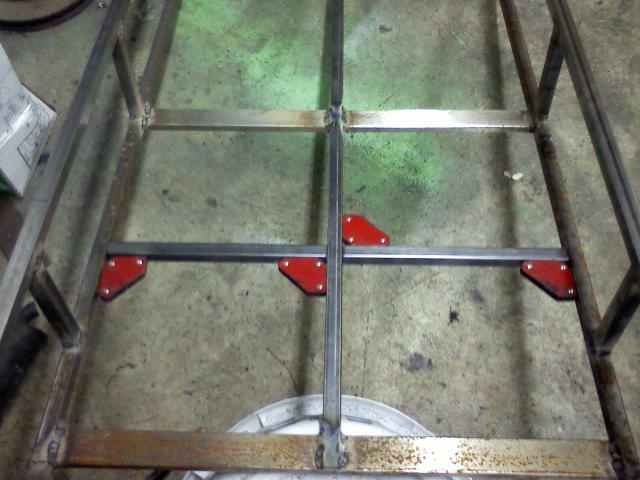 I have been working on the bogey pieces, and the frame. 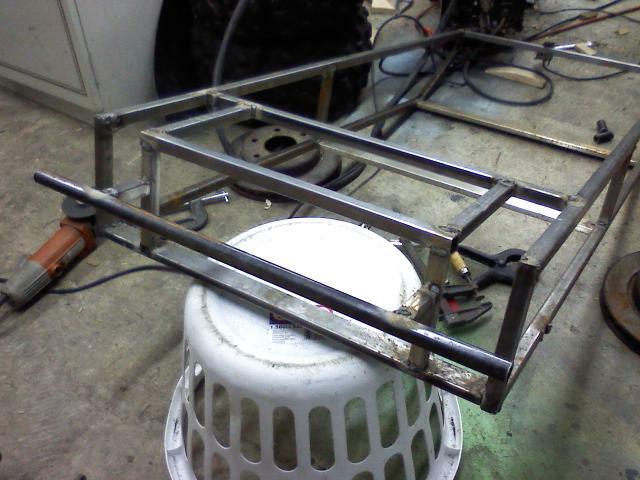 So I’m still working on stuff, just lots of small steps to finish up the bogies and the frame. Stay tuned. 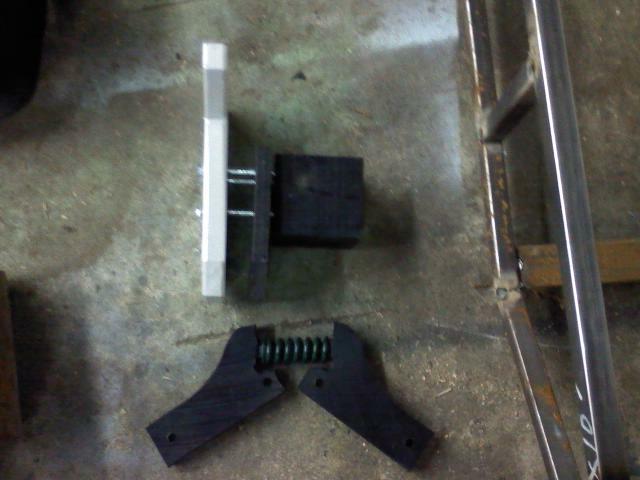 So, I have one bogey (of six) completed, except for a spacer. I have most of the bogey arms done. 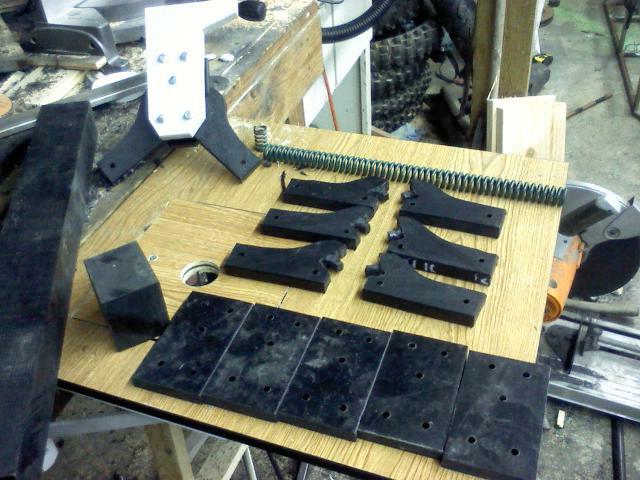 And all the grey bogey assembly fronts, and backplates. 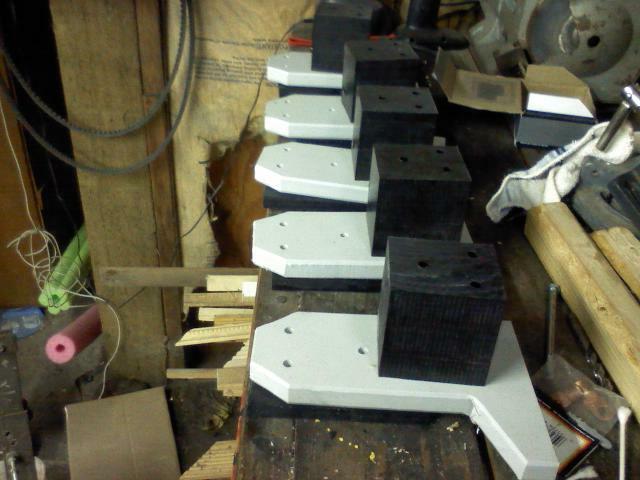 Just need to finish drilling a bunch of holes, and cutting the big blocks. One thing that is odd about this build, is that I actually am building the tank around the conveyor belt I got for the track. I got a piece from a rubber store that was 6″ wide, and about 20 feet long. 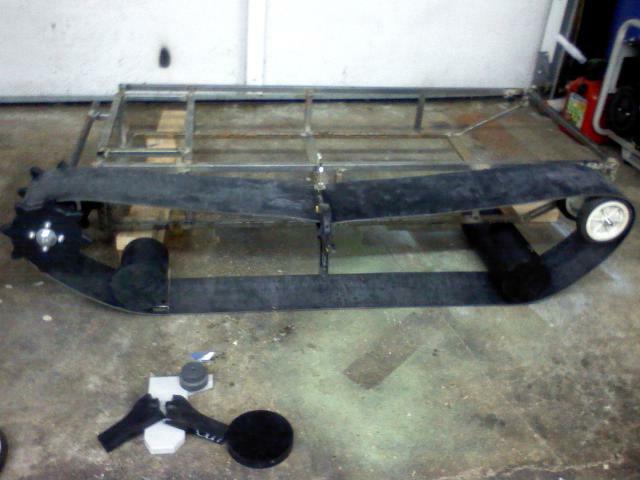 I cut it in half, and each belt was 129″ long. 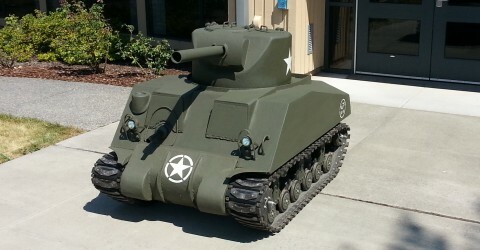 From this, I determined the scale of the tank. 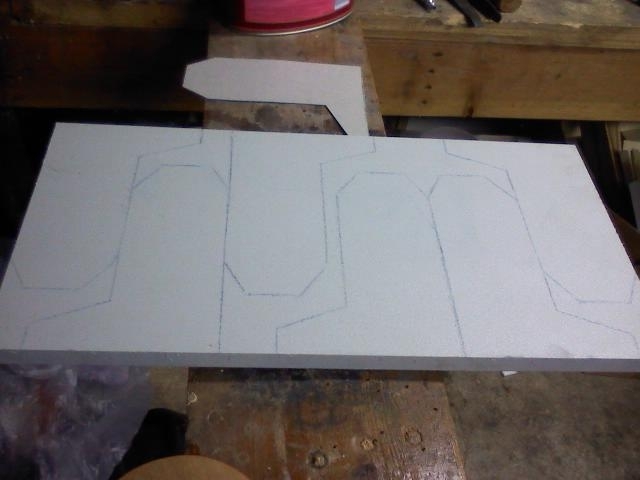 I began cutting out the pieces for the bogies. 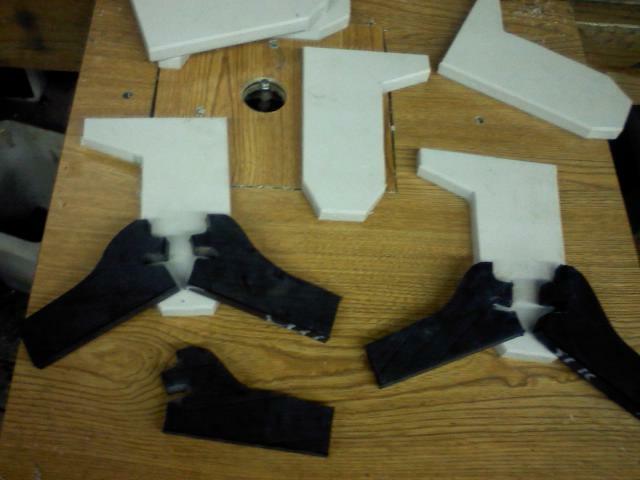 First, the main bogey assembly pieces (gray), and then the bogey arms (black). 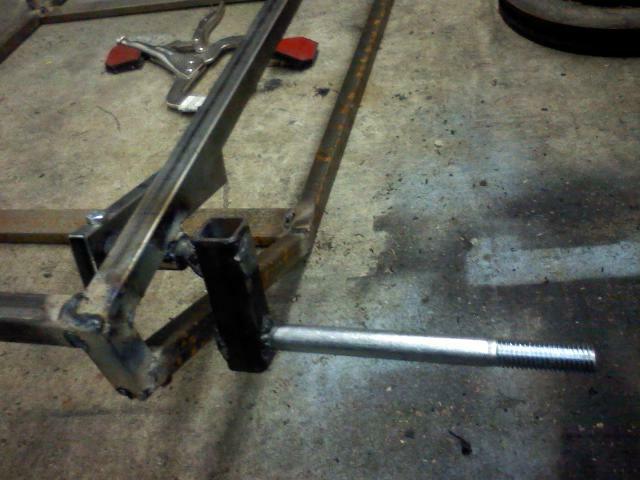 I need to make 4 more bogey arms… I ran out of that thickness of UHMW, so need to go get a small chunk. 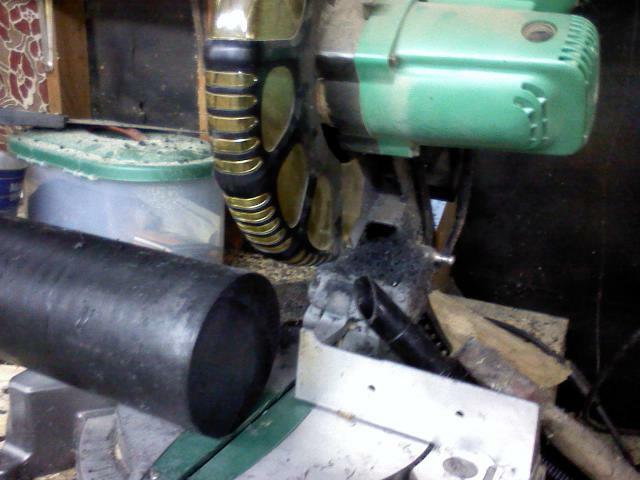 It’s the same thickness as the drive sprockets, 3/4″. 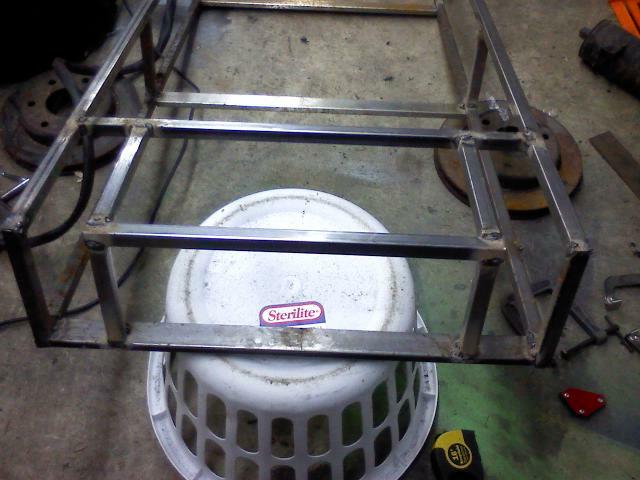 I still need to drill holes, run the bolts, cut the springs, make the spacer blocks which go between the bogey assembly and the hull, etc. But they are starting to look like something, which is cool. 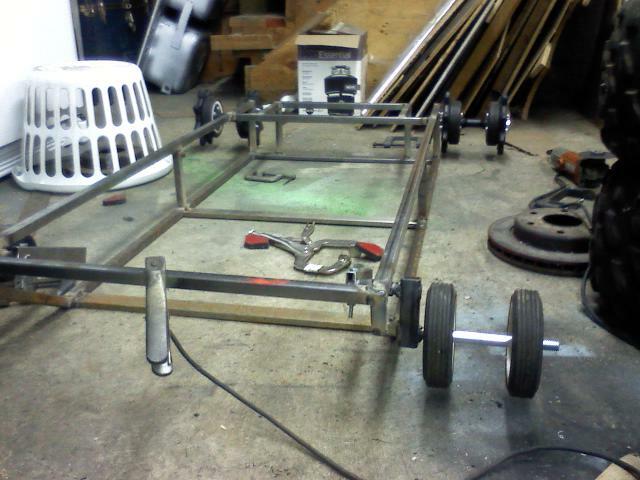 Frame, Idlers, and Drive Wheels. 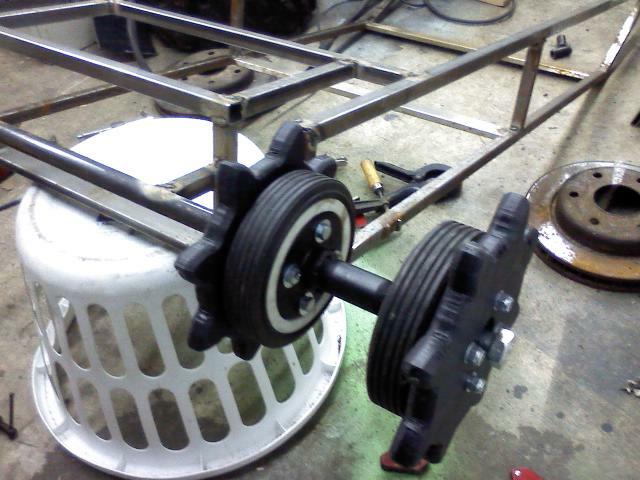 Drive wheel installed. 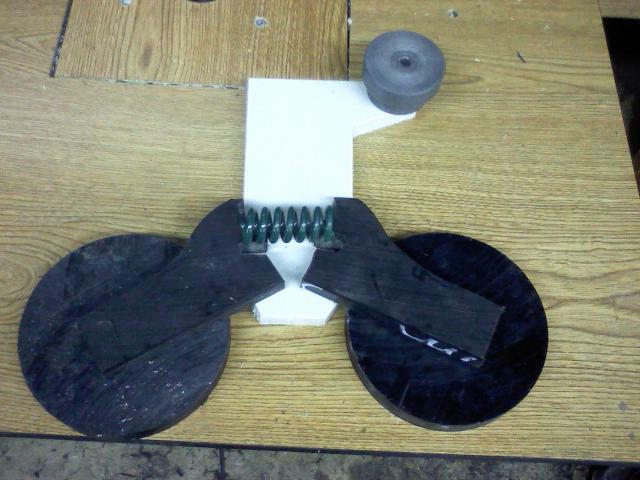 This is very helpful for determining other measurements with the bogies, rear idler wheel spacing, etc. Bogies are one of the more daunting and crucial tasks in a tank. 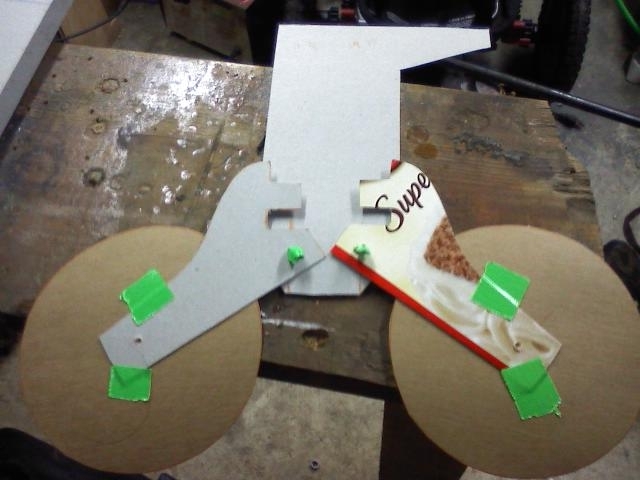 First, there is the sheer numbers: 6 bogeys, 12 bogey arms, 24 road wheels, 6 small roller wheels. They are also important, functionally, as they provide the tanks suspension, keep the track from coming off, and give the tank it’s ground clearance.